Make this side dish the main meal by simply adding cooked slices of chicken breast or lean beef. Makes 4 servings. ½ cup per serving. Heat water in a medium pan. 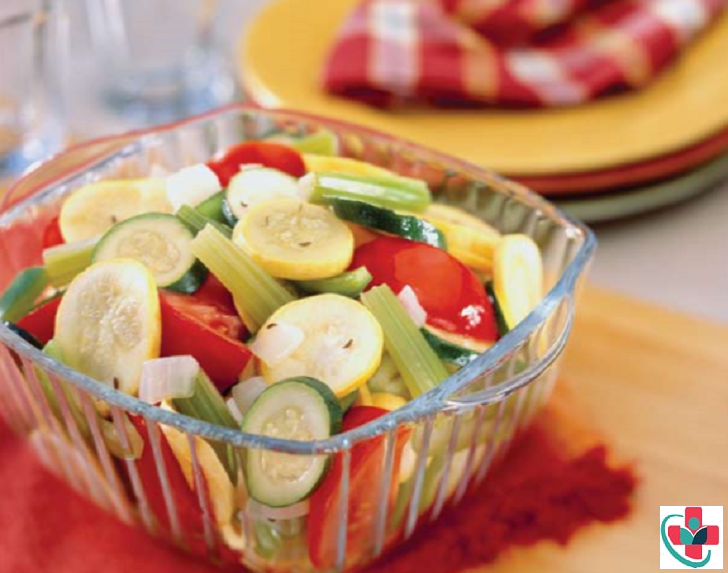 Add zucchini, squash, bell pepper, celery, and onion. Cover and cook over medium heat until vegetables are crisp-tender, about 4 minutes. Sprinkle seasonings over vegetables. Top with tomato wedges. Cover again and cook over low heat until tomato wedges are warm about 2 minutes.